Canada’s central provinces are home to vast networks of flowing water, relentlessly pouring northward to the Arctic Ocean. 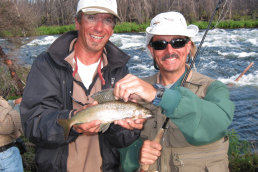 Thousands of interconnected lakes teem with gamefish of all species, many of which grow to trophy proportions. Fish are often plentiful, hungry and eager to strike your lures. 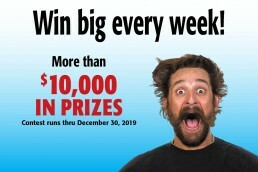 Yet even amidst the wilderness, a little angling savvy plays big dividends in putting more and bigger fish in the boat. If you’re headed for Canada this season, the following patterns will help make your trip a memorable one. Even as the ice is breaking in early spring, pike are already spawning amidst shallow marsh in the backs of bays. These same bays remain focal points of pike activity, at least until early summer. Anglers often assume that pike feed in the back ends of knee-deep bays. More likely, larger pike feed on suspended ciscoes outside the mouths of such bays, and begin sliding up into the bays in mid-to late morning to warm their bodies and enhance digestion. After an hour or two of exposure to sun-baked warming water, their attitude changes from sluggish to ferocious. The slow, lazy wobbles of 3 1/2- to 4-inch Dardevles and Len Thompson spoons fascinate pike, causing them to follow like crazy. Follows are nice, but hookups are even better. Several times per retrieve, give your rod tip an upward pop, then pause, causing the spoon to shoot forward, then flutter. This triggers a following fish to kick its fins in pursuit, run up on the lure, and then grab it in a reflex strike. In general, lures that slide and glide, moving horizontally, are best. 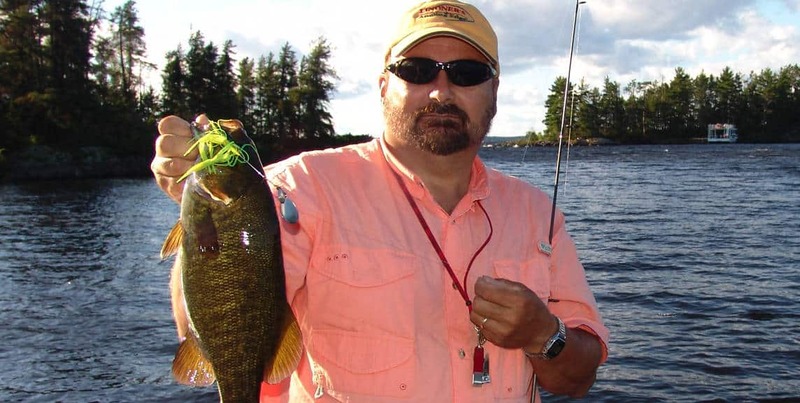 Large soft plastics like 9- to 10-inch Slug-Gos or Fin S Fish are fantastic. Twitch, glide, then pause to slowly sink them. How could pike resist? Similar for working neutrally buoyant minnowbaits like #14 X-Raps. The pause-and-suspend drives ‘em crazy. Slowly crawl a wobbling crankbait just beneath the surface, allowing it to form a wake. When another giant wake zeros in on it, don’t anticipate and set the hook too early as the wakes collide; wait for the tug, then slam the hook home. Modest-size, #4 or #5 straight-shaft Mepps or Blue Fox spinners excel. 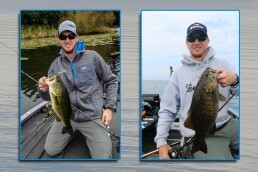 So do 1/2-ounce spinnerbaits. For my money, avoid topwaters; they generate loads of frantic missed strikes. Keep your lures running subsurface where pike can catch them. Perhaps the deadliest of all methods is a large, 6- to 8-inch streamer fly, cast on a 9-foot, 10-weight fly rod. Strip the weightless fly past the nose of even an uninterested pike, and let it hang there, virtually motionless. Then strip it again. The pike leans, then begins to slowly follow. Subsequent strips of the tantalizing fly begin to enrage the beast, until it finally surges forward and engulfs the feathered offender. Then the fish explodes, with the tightened flyline whistling under tension. Fish on! Shallow pike activity usually lasts throughout June, and well into July in the far north. 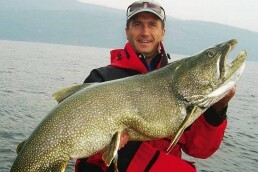 Eventually, howeer, the water warms to a degree that pike activity shifts more to mainlake cabbage weebeds, where the same lures continue to produce throughout the short Canadian summer. 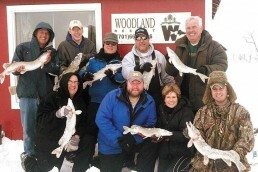 In early spring, walleyes are drawn to current areas with broken rocks for spawning. Shallow rivers connecting two lakes often provide rocky shoals that collect hundreds, if not thousands, of fish. Walleyes typically lie in the deeper pools directly downstream during the day, and then move atop the rocks to spawn at night. Anchor just below the riffles or rapids, and toss out a 1/16- or 1/8-ounce jig tipped with a 3- to 4-inch soft plastic tail. Let it sink to bottom, and allow the current to sweep it downstream. Lift you rod tip to free the lure if it sticks in one spot, letting it tumble downcurrent again. 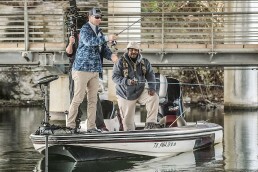 A medium-action spinning rod with 6- to 8-pound mono is about right. As fish begin to desert shoals, retreating back toward the main lake, river mouths, narrows, waterfalls, even the spaces between islands funnel current and attract loads of fish. 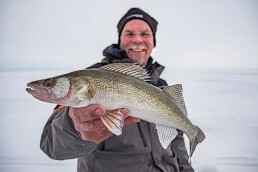 In far northern waters, simply anchoring for a few hours in such areas may produce a hundred or more walleyes in a couple of hours, fishing in perhaps 5 to 10 feet of water. 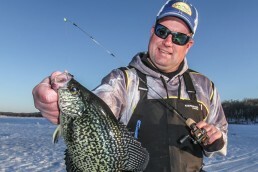 The pattern may hold up all summer, with walleyes reluctant to move farther out into the deeper, colder main lake. 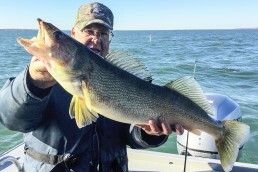 In warmer, more fertile waters along the U.S./Canadian border, however, walleyes may shift onto long shoreline points and rocky humps in the main lake. Depths of 10 to 25 feet may be more typical in summer. As such, deeper tactics like livebait rigging with leeches or nightcrawlers may be more productive. Or try vertically jigging with an aggressive triggering lure like a #7 Jigging Rapala. 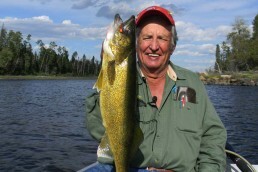 Even so, in stained-water Canadian lakes, current may draw even big walleyes shallow in summer. Cast neutrally buoyant minnowbaits, or jigs tipped with 4- to 5-inch softbaits, wherever current funnels over and past shallow rocks, and hang on tight. 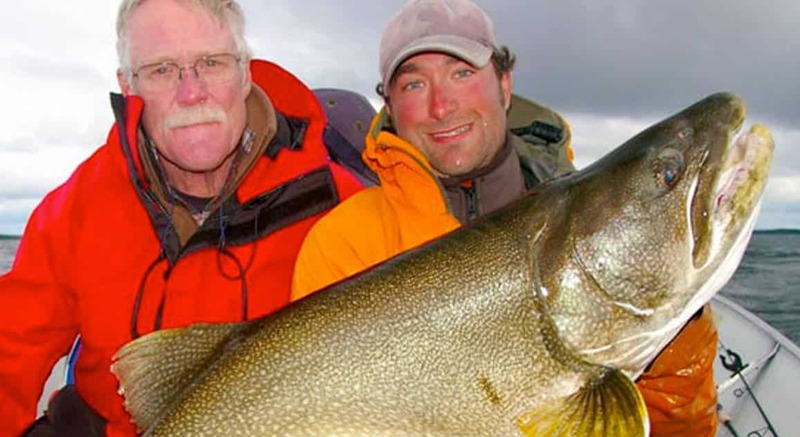 As members of the char family, lake trout are creatures of cold water. Once the water warms, they skedaddle for the depths. But in early spring, they’re shallow. Usually not in the back ends of bays, which is more pike territory. But certainly along mainlake shorelines and islands. 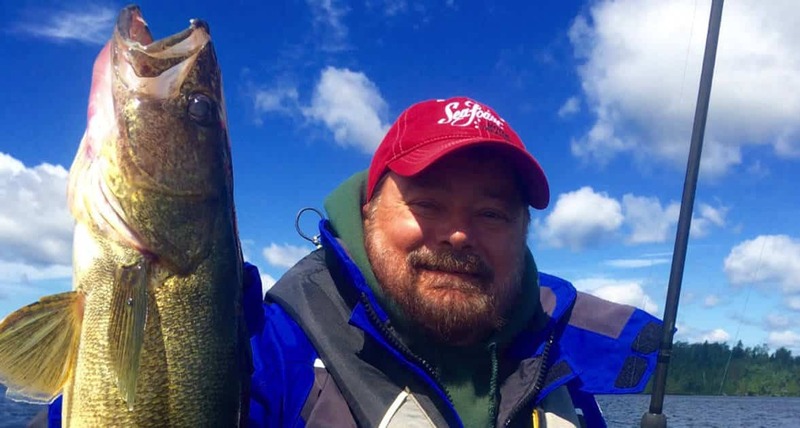 The easiest way to catch spring lakers is to troll, troll, troll, pitching a lure out behind the boat, engaging your reel and simply covering water. Your lure doesn’t even need to be near bottom. If it’s running subsurface, lakers will scoot up from 20 feet deep to nab it. Large spoons like Dardevle Huskys and Husky Juniors are ideal; they have very wide, aggressive wobbling actions. They’re usually too wild and dramatic for pike, though, which prefer smaller, subtler versions of similar lures. But lakers love ‘em. Consider tipping one tine of the treble with a soft plastic grub or worm, particularly in white, which helps mimic an injured baitfish. Also big on the laker menu are large crankbaits and minnowbaits, perhaps with a small Rubbercor sinker clenched on the line about 4 feet ahead of the lure to achieve a bit more depth. This is particularly true as the water warms above 60 degrees F, often causing lakers to retreat into 60 to 100 feet of water. Intimidated by the depths? Don’t be. Just use deep-water systems. Vertically jig a 1-ounce white bucktail jig, tipped with a white grub, anywhere your electronics reveal big fish and baitfish together in deep water. Like around the edges of humps surrounded by chasms exceeding 100 feet. Or, in shallower lakes, in deep holes of 60 feet or more that are surrounded by shallower water. Use the same rod and reel combo you’d use for pike: a 7 ½-foot flippin’ stick spooled with 30-pound superline. Just don’t add a wire leader, which is a must for razor-toothed pike. Lakers have rounded teeth that won’t cut your line. Try the same setup with a three-way rig, 6- to 8-ounce sinker, and 5-foot leader to a flutterspoon. It’s deadly down to about 60 feet, trolling just fast enough to wobble the spoon near bottom. 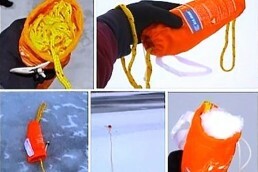 If you need to fish deeper, switch to wire line, which will get you down to 100 feet with ease. 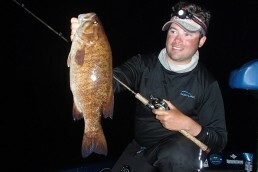 Smallies abound in rocky, stained-water Canadian lakes near the U.S. border. 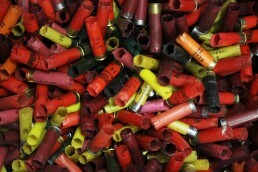 Best of all, their prime habitat is easy to find, visually. Look for bays with networks of islands nearby, particularly where you see lots of broken rocks and boulders, rather than solid granite. Craggy subsurface terrain holds crayfish, which provide key smallmouth forage. Smallmouths often range within the general area throughout the year, rather than migrating around the lake like walleyes. In spring, head back into bays, and look for fallen trees along shore, reeds or other cover that encompasses areas with a mixture of sand and rock. That’s where bass sweep out nests for spawning. 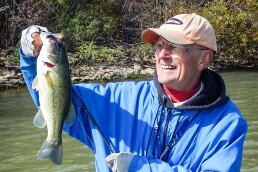 After spawning, most bass typically shift more toward bay mouths and out to nearby islands and rocky shoals surrounded by 25 or 30 feet of water. 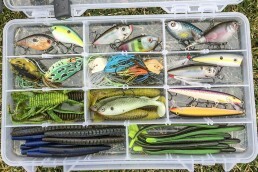 Your normal assortment of small crankbaits, spinnerbaits, spinners, jig-and-soft-plastic-craw combos, topwaters, etc., will produce just like they do back home. With the water likely to be stained, the fish are seldom deep. Fish in 5 to 15 feet of water, and you’ll find biters all summer long. 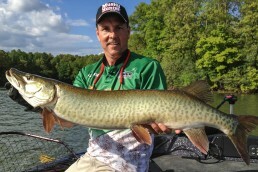 Southern Ontario and Quebec are home to some of the largest muskies on earth. 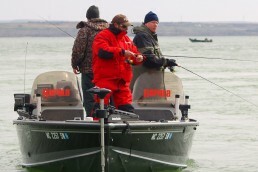 Drive more than about an hour or two north of the border, however, and both smallies and muskies disappear. 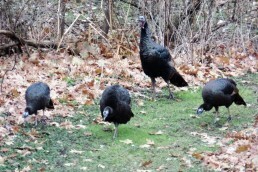 The climate is too cold to sustain them. Once water temps rise into the 50s, muskies spawn in the back ends of bays, although not marshy bays like pike. More likely, weedy bays. 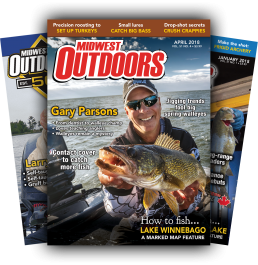 So early fishing focuses around weeds and shoreline cover. By early summer, muskies shift more toward offshore islands and reefs, with the mouths of bays remaining good candidates as well. 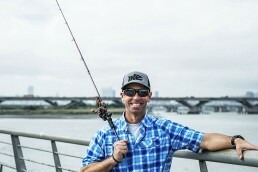 Your best bet is to start fishing and covering water, testing different kinds of areas: points, islands, saddles between islands, weeds, rocks, etc. A half-day of fishing should reveal the types of areas, forms of cover, and depths the muskies are currently using. Why? Because muskies are followers, and often show themselves, even when reluctant to bite. Once you know the kinds of habitat they’re using, keep coming back, casting to areas where you saw fish, hoping to contact them when more active. Like in the hours before an approaching storm front; an hour before sunset; when the wind kicks up; or…whenever they darned well want to turn on. Try casting large bucktails, crankbaits, topwaters, soft plastics, and let the fish indicate what they prefer by responding and following. 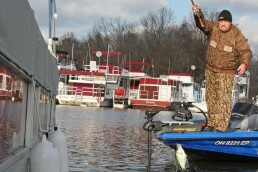 Be vigilant and be ready to execute a last-second figure-8 maneuver at boatside should a fish follow to the boat. Dig that rod tip down deep, and broadly sweep a large 8-shaped path through the water, changing the direction of the lure, hopefully triggering a strike. On such superb trophy water, patience is key. 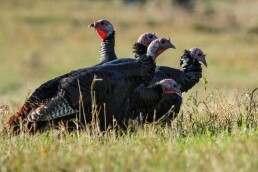 Team it with a good plan and a good attitude, and you will get bit. And perhaps, numerous times, by fish of legendary proportions.